The following is a guest post by Jacob Evans from dollardiligence.com. Jacob is a self-proclaimed personal finance enthusiast and blogger. Catch up with him @DollarDiligence! When it comes to marital problems, finances rank as one of the top stressors — and one of the major causes of divorce. A difference in money management styles or simply the burden of debt can cause significant strain in a relationship, leading to a breakup or divorce. While there are many reasons for why marriages don’t work out, an underlying cause for tension in many relationships is money. Worrying about money can cause stress for any person. When there are money problems in a marriage, that stress can often be taken out on the other person in the relationship. So what exactly causes these money issues in a relationship? One of the most common factors is having different attitude towards money; for instance, one partner could be a spender while the other is a saver. If one spouse diligently puts aside money and works towards paying off debt while the other spends recklessly, it is bound to cause fights — particularly if one spouse feels that the other is sabotaging his or her progress towards a financial goal. In other situations, one spouse comes into the relationship with debt while the other spouse is debt-free. This debt could be from student loans, credit cards, or a car loan. 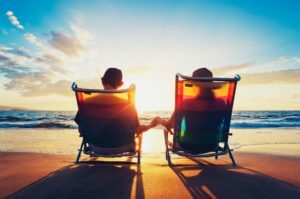 While the debt-free partner may initially be agreeable about helping to pay off the debt, he or she may grow to be resentful after some time — especially the other partner isn’t helping to pay off the debt or hasn’t changed spending habits. Still other marriages suffer when they accumulate debt during marriage, perhaps through purchasing a house or car that is out of their budget or by overspending on credit cards. As the couple struggles with the burden of this debt, fights may increase over whose idea it was to buy the unaffordable house or car. Finally, some couples may experience financial stress simply due to uncertain economic times. If a spouse is laid off or demoted, money problems may arise in a relationship simply due to the lack of funds coming into the home. These are just a few different ways that money can impact a relationship. There are some ways that couples can try to prevent some money problems from arising. A joint bank account can be used to pay household bills and expenses such as mortgage payments and utility bills. With such an account, couples can pay bills together (at least in name), and each spouse can be held accountable for his or her contributions and expenditures. However, joint bank accounts can create problems for couples who have vastly different spending habits. If one partner (a spender) feels like the other is monitoring his or her spending habits, then it could create anger and even lead to the spender making secret purchases and lying about them to his or her spouse. Conversely, a saver could be watching the joint bank account and be upset that his or her spouse is spending their joint money frivolously. If a couple is going to use a joint bank account, they should set up some parameters for how it will be used. For example, they should each be allowed freedom to spend up to a certain amount without discussion. This could ease some of the friction that could result from one partner being able to monitor the other’s spending (or lack thereof). After all, this is supposed to be a solution, not a source of conflict. For other couples, separate bank accounts might be a better bet, particularly if one partner has his or her own debt. Having a separate account will permit that spouse to pay off his or her debt individually without dipping into the couple’s shared savings. This could work well for married couples with different spending styles, and it could help avoid fights by providing a degree of privacy and independence. The best of both worlds may be for each partner to maintain a separate account for discretionary spending and individual debts, and then to have a joint banking account for things such as household bills. While money issues are at the root of many divorces, they are not inevitable in a marriage. The key to avoiding money troubles in your relationship is to focus on communication – as well as forgiveness. Having different money management styles, accumulating debt, and economic hardship are all fairly normal parts of life, including the married life. The key is how you handle life with your partner. By discussing these issues openly and honestly with your spouse, you can avoid many of the pitfalls that face couples who end up getting a divorce due to money issues.